The accusative case is an oblique case, which is used in the sentences like "Я ценю... Пушкина, дом, общество, страну" (I appreciate ... Pushkin, home, society, country). The nouns in the accusative answer such questions as Кого? Что? (Whom? What?). Не надо винить кого? Не надо винить сына. - Whom one should not accuse? One should not accuse a son. Катя читает что? Катя читает книгу. - What is Katya reading? Katya is reading a book. When used with the prepositions в and на, the accusative means motion towards or direction correspondigly. 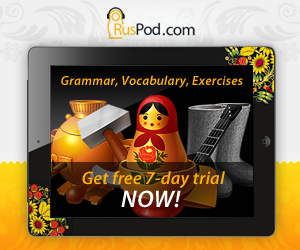 To put nouns into accusative correctly you should know that Russian nouns are divided into animate and inanimate. Animate nouns are those which describe someone alive like человек, кошка (a man, a cat). In general, the accusative is formed from the nominative singular nouns with the help of the following endings: -у, -ю, -а, -я (singular); -ей, -ой, -ов, -ев (plural). 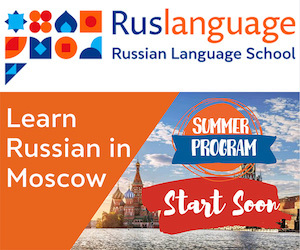 In most cases, you should remove the last letter from the nominative of the noun and add one of the mentioned endings (луна less -а plus -у = луну). The good news is that in some cases the accusative is similar to the nominative and genitive. Remember, that the accusative is similar to the nominative!! Also remember, that the accusative is similar to the genitive!! The tables below sum up how the accusative of nouns is formed.